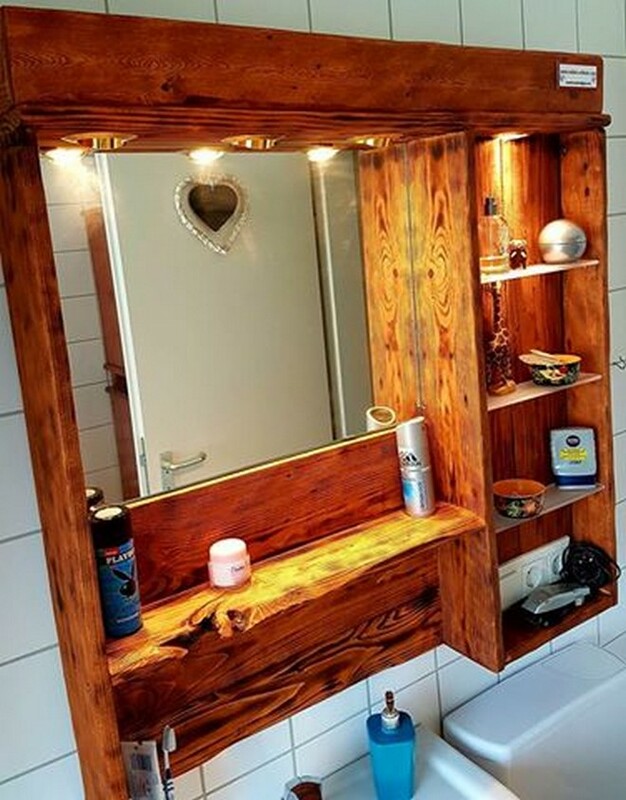 A pallet wood mirror cabinet, does it sound great? I mean why it won’t? 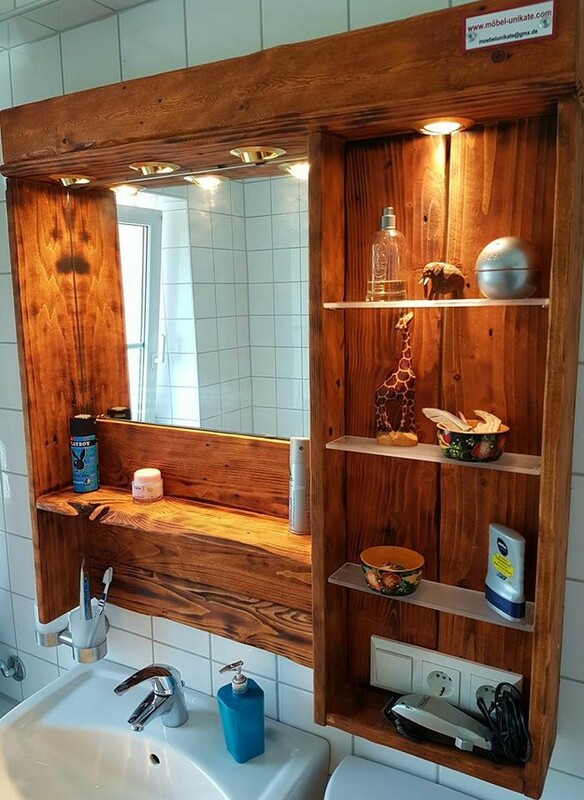 this is always a great initiative to make some decent wooden pallet repurposed cabinets indifferent parts of the home because a wooden cabinet is almost needed everywhere inside the house. 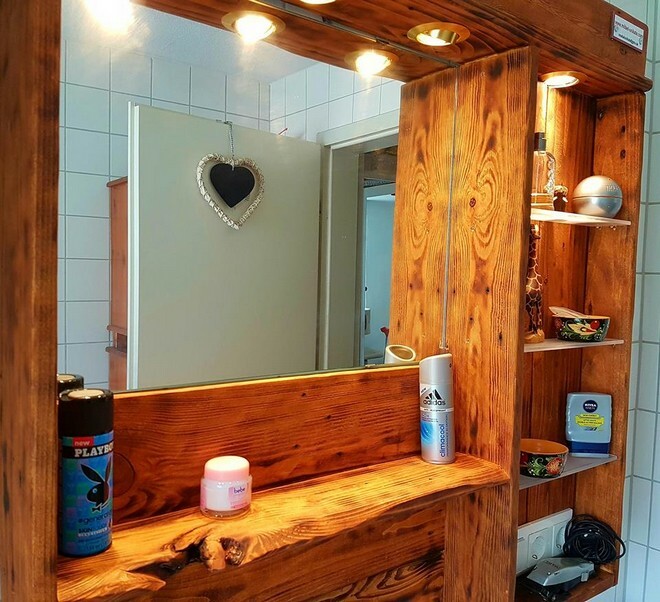 This is because we have so much accessories related to our daily use that the common furniture items literally run out of space, so to take care of the rest we have recycled a number of the wooden pallet cabinets which are always appreciated by the followers. 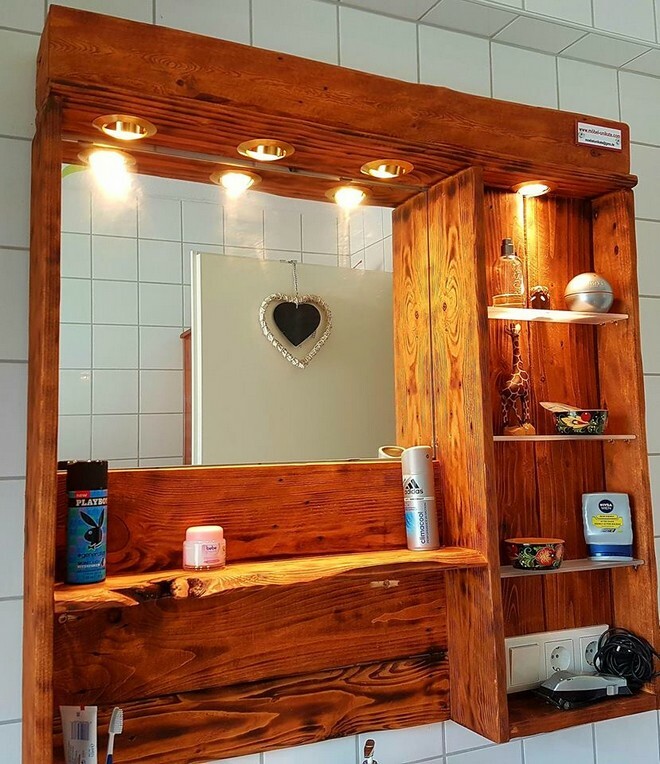 Here we are presenting again a pallet wood mirror cabinet. As we discussed earlier that wooden cabinet is almost needed in every part of the house. But this one I think is the most integral part of the house, this is basically the bathroom. And just imagine how smart it would look if it is installed inside your personal bathroom. 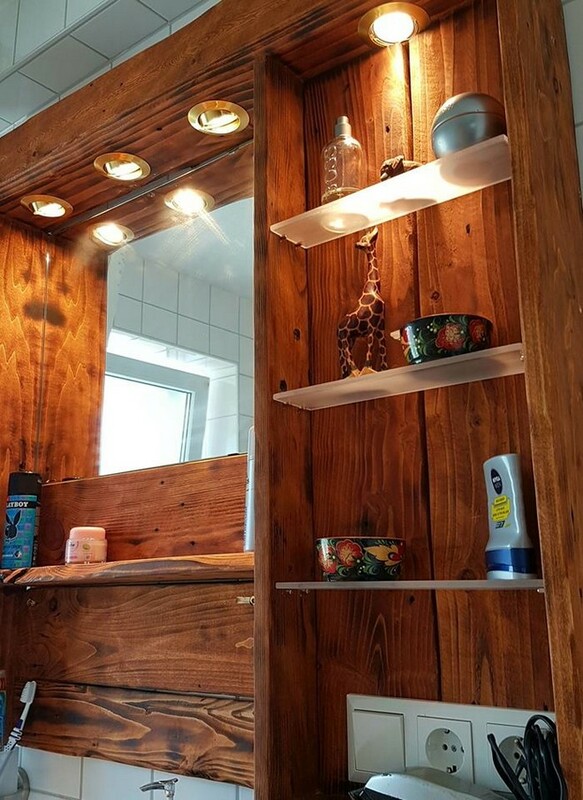 Look at the entire design and shape of the mirror cabinet, though this could have been much simpler but we have made in a pretty fancy and attractive manner as we can see a very commendable lighting work on the top of the pallet mirror cabinet. Coming to the other features of the cabinet we see that it is designed very systematically as it has got multi tiered sheds or extensions that could be used as a rack where you can place certain bathroom accessories. And these extensions are made with fiber glass that is not transparent at all. The final thing that is noticeable and pretty impressive is the stain pattern. These wavy and curvy stain strokes have made it immensely pretty. Despite of the broken pallet wood planks right on the front they are camouflaged so smartly and covered that nobody would bother to notice it.